Many vehicle accidents result in a diagnosis of chronic pain syndrome. The term chronic pain generally refers to localized pain in a particular area of the body, such as the back, shoulders, or neck, for an extended period of time. While a vehicle collision can happen in a matter of seconds, the chronic pain it may cause has the potential to last a lifetime. 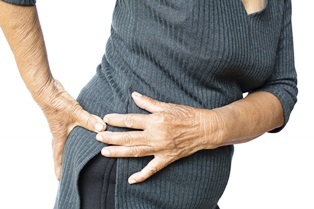 Chronic pain can be defined as pain that lasts for more than six months. Most vehicle accident injuries resulting in chronic pain are caused by trauma to the nervous system. The pain may be mild or severe, and it might be constant, or only occasional. It can limit a victim’s ability to move, leading to a dramatic reduction in strength, flexibility, and stamina. Chronic pain can be so debilitating that injury victims are no longer able to work. Typical symptoms of chronic pain include burning, shooting, or aching pain combined with sensations of stiffness, soreness, and discomfort. This condition often results in an increased desire for sleep, a weakened immune system, depression or anxiety, and a withdrawal from daily activities. Chronic pain damages are awarded based on their anticipated future impact on the victim’s life. In addition to anticipated medical expenses, undefined damages may be awarded for the physical pain, mental anguish, and emotional suffering that can last a lifetime. Insurance companies frequently argue that chronic pain compensation isn’t warranted, but a skilled attorney can overcome these objections. If you’re suffering from chronic pain caused by a vehicle accident, your attorney can use medical evidence to estimate how long the condition is likely to continue, the medical expenses associated with it, and the lost wages incurred as a result. Your lawyer may also solicit expert testimony from health care providers to prove that your accident caused these chronic injuries, determine the need for future medical care, and predict likely future physical or mental limitations.